When the title character is revealed to have died before the start of the novel you know you’re in for an interesting ride. And this is certainly the case with Rebecca; a grieving husband meets a young woman on holiday and marries her after only a week’s acquaintance moving her into his English mansion and apparently expecting her to take the place of the late, lamented Rebecca. Unusually the story begins at the end with an English couple living a dull life in exile abroad, constantly moving and never talking about the past. We are then spun back in time to the days of their whirlwind romance in Monte Carlo and onwards through the trials of our narrator’s life at Manderley, her husband’s grand English house. From the very first chapter the suspense is gripping, who are these people and how did they come to be living this mundane life so far from the country they clearly hold so dear? When we first meet Maxim de Winter he is suave and charming and wins the heart of our unnamed narrator, innocent young girl who is somewhat awed that a man such as Maxim would take any interest in her. He clearly has a darker side however and a short temper which scares her at times and despite barely knowing him she automatically falls into the position she occupies for the rest of the novel, that of protector, keeping things which will upset him from being mentioned whenever possible. Despite his slightly unstable character our narrator agrees to his marriage proposal almost immediately and is whisked back to England and Manderley (after an apparently blissful honeymoon in Italy which we hear little of). Once back on home soil however, things are very different. The house is run as if Maxim’s first wife, Rebecca, is still alive and any alteration our timid second wife tries to suggest is shot down immediately. Particularly where the sinister housekeeper, Mrs Danvers, is concerned Rebecca’s word is law. Our narrator has an especially active imagination and is constantly daydreaming, imagining Rebecca’s life and the ways in which she is failing to live up to the reputation of Maxim’s first wife. Maxim himself is distant, cold and even more unstable now that they have returned to Manderley and it seems our young girl may have made a terrible mistake. Then just over half way through the novel her whole world is rocked by a sudden revelation which comes out of nowhere and changes her whole view of Manderley. Obviously I’m not going to say anything more about that revelation but I will say that although I had picked up hints that all was not quite what it seemed, I had no idea about what was coming and how it would change the whole course of the story. The plot moves on from here much faster and everything changes in just a few days. The story is gripping and I flew through the novel because the intrigue built up in layers around Maxim and Rebecca kept me glued to the page. The cast of characters ranged from the creepy Mrs Danvers (there is no other word to do her justice) to the brilliantly forthright Beatrice and the loyal Frank and they were all individual and had their own levels of curiosity. However the style of narration and the narrator’s own unease gave the whole story an odd feeling of detachment, much like peering in through a window as opposed to actually being part of events. Which, although slightly odd as a reader, reflects the way the narrator feels about her life at Manderley and gives us great empathy for her plight and leaves us rooting for her and the life she envisions for herself and Maxim. When I began reading Rebecca I was expecting a more pedestrian love story typical of certain turn of the century writers but what I got was echoes of Jane Eyre, a chilling tale with deception at every turn and a ghostly figure stalking our heroine’s every thought, feeling and action. A gripping read. 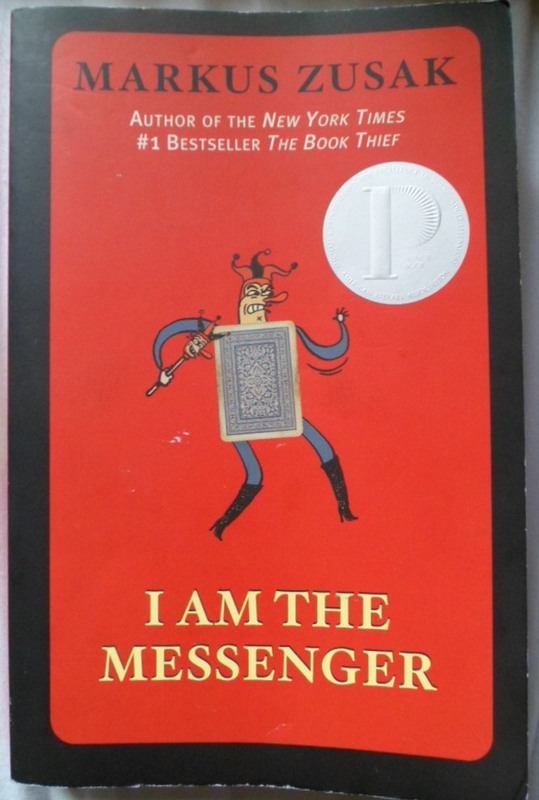 If there was ever a book that less deserves to be found in a bookstore bargain bin it is I Am The Messenger by Markus Zusak. Yet that is where I found it and I am very pleased that I did. The story is full of intrigue: underage cab driver Ed Kennedy is living an unremarkable life living in a shack with his elderly dog The Doorman, hopelessly in love with his best friend Audrey and generally put upon by his unsympathetic ma. Until, that is, the day that Ed foils a bank robbery. After coverage of the story appears in the papers Ed starts receiving playing cards with cryptic clues pointing him to people who need his help. The cast of characters are incredibly well created, even the smallest part is well fleshed out and brought to life. The people Ed is sent to help are extremely varied from the beautiful Sophie to the angry Rose brothers. Besides them there are a whole host of other people Ed meets along the way and none are more memorable than the squabbling Daryl and Keith who manage to be both terrifying and hilarious in the same breath. But it’s the writing that really makes this book stand out from the crowd. Zusak has a turn of phrase so poetic it’s breathtaking, Sophie has a strawberry-flavoured voice and eyes like water, Milla has grass that sounds like toast and Audrey has a yawn so beautiful it makes you cringe. It’s this kind of writing that really kept me glued to the page. I Am The Messenger is billed as a book for the teen market but I think that anyone who lets that stop them reading it is a fool and will be missing out on a tremendous read. A normal 14 year old discovers she is heir to the throne of a small European country. This is the premise of The Princess Diaries by Meg Cabot which is one of the few children’s books on The List which I had not previously read. Chiefly because I was never one for the girly kind of book that comes with a bright pink cover and a girl in high heels and a short dress that this turned out to be. Nevertheless I have spent a reasonably entertaining afternoon watching the film so I was happy enough to give the book a go. 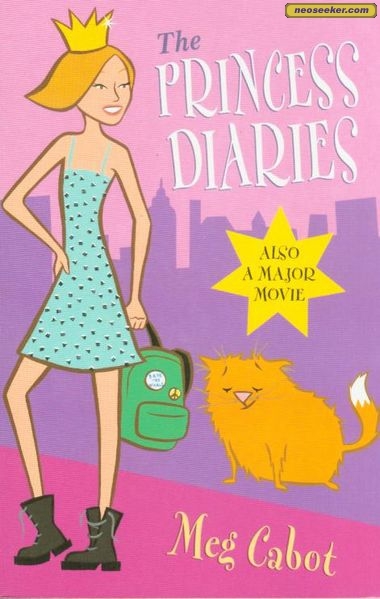 The book is written as the diary of Amelia “Mia” Thermopolis or to give her her full title: Princess Amelia Mignonette Grimaldi Thermopolis Renaldo. Mia is horrified to find out that on top of the normal problems of being an unpopular, geeky teenager in an American high school (which seems much more difficult than British high schools) she must now take “Princess lessons” from her grandmother and attempt to keep her new status hidden from the rest of New York. The main problem I had with this book is that I just didn’t buy Mia. She doesn’t gel with my own memories of being 14; the way she talks, the things she worries about and the way she acts all seem too immature for 14 albeit an american 14 which as my Mum pointed out may be different to a british 14. But I can say for certain that no one I was at school with when I was 14 would have been caught dead reading this book. The story itself is quite well thought out if entirely predictable (no points for guessing who turns out to be the beau in Mia’s life). I may have spent most of my time restraining an urge to slap Mia but I did like her grandmother and the country of Genovia was well created. All in all it’s probably a great book for pre-teens. I looked online for who the story is aimed at and there seems to be some debate: some parents say it’s unsuitable for young girls because there is some mention of virginity and breasts but these seem pretty minor to me. I can’t imagine ever having wanted to read this book myself but girlier girls would probably enjoy it. There are nine more books in the series which I may or may not bother reading, only time will tell. A remark I have been heard to utter on several occasions; in fact there is a whole post devoted to the topic on this blog. However after recently reading two books that I really enjoyed I decided it was time for me to delve into that world again and picked up a copy of Persuasion, number 38 on The List. It seemed I had PAID for a copy of the book that originally came free from The Daily Express (an English tabloid newspaper) to advertise the release of Becoming Jane in 2007. The book itself seemed very short which made me worry that I had accidentally purchased an abridged version and was going to be unable to count it as fully read. 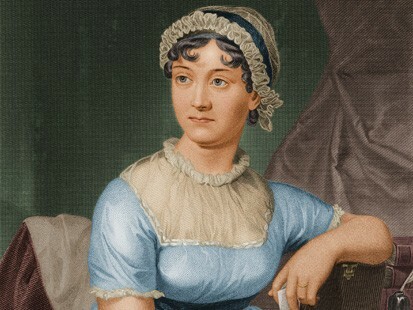 However a quick Google search assured me that this was in fact a story much shorter than most of Austen’s work due to the fact that she became ill while writing it and died shortly after its completion. Reassured on one front and unable to do anything about the other I resolved to try to put my usual cynicism to one side and give Persuasion a fair go. In essence the story is very similar to that of Emma (my only previous Austen experience) in that it features a bunch of ladies sitting around waiting to see who’ll marry them and going on various excursions with their possible suitors and families. 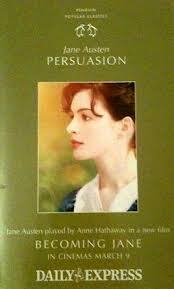 However, I found the heroine of Persuasion, one Anne Elliot, much more likeable and sympathetic than the titular Emma. At the age of 19 Anne was persuaded against marrying a young sailor Frederick Wentworth and has remained single ever since. Now, six and a half years later, he has returned having made both his fortune and the title of Captain at war. Is it too late for him to win Anne’s heart? 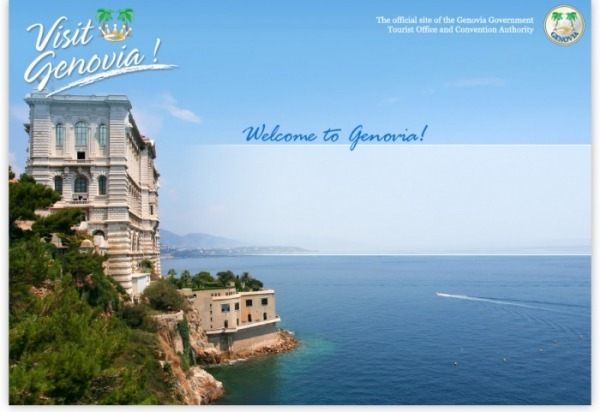 Has it been claimed by her cousin (and heir to her family’s estate)? And how will all the other people in this scenario marry? The two sisters-in-law of Anne’s younger sister Mary, the recently bereaved Captain Benwick and Anne’s older sister’s friend Mrs Clay who appears to have design on their father. Anne’s family are universally unlikeable; her father is a ridiculously vain baronet who likes nothing more than to read the details of his family and his fortune and thinks nothing of his middle daughter. Her older sister Elizabeth is considered the beauty of the family and as such is the apple of her father’s eye. She revels in being the lady of the house and is equally as dismissive of Anne as her father. Mary is the most bearable of the three despite having a tendency to whine whenever she feel slighted by her company (which is frequent) and being something of a hypochondriac. Anne by contrast is intelligent, considerate and overly mindful of others making her popular with everyone beyond her immediate family. The story moves fairly fast but packs a lot in including: a move to Bath, a holiday to Lyme, a near-fatal accident, at least two dastardly schemes and four engagements. It is most likely due to the multiple events, changes of scene and large cast of characters that I only found myself muttering ill-words about the author once or twice as opposed to every other line. Cheer up Jane, I said I enjoyed it.